Once you work with Azure Information Protection (AIP) labels, you may want to remove some labels you created during configuration and testing. After deleting these labels in the interface, the deleted labels will be displayed under ‘Protection Templates’, see figure 1. Figure 1. 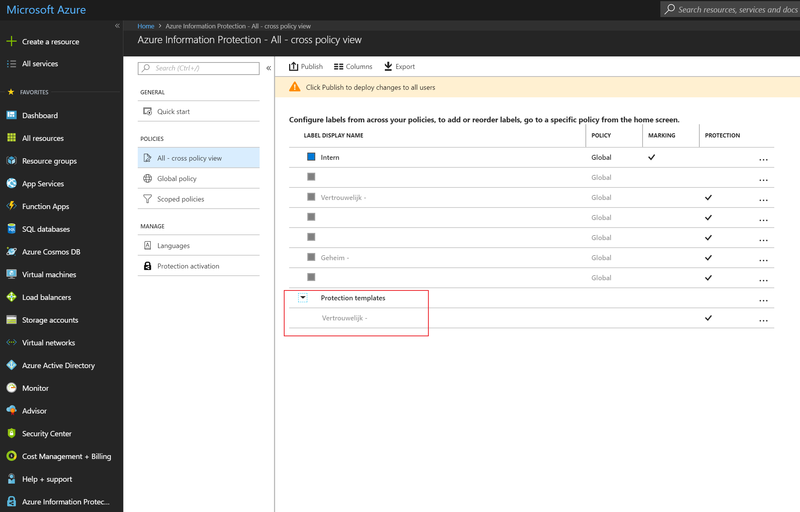 Azure Information Protection label overview. 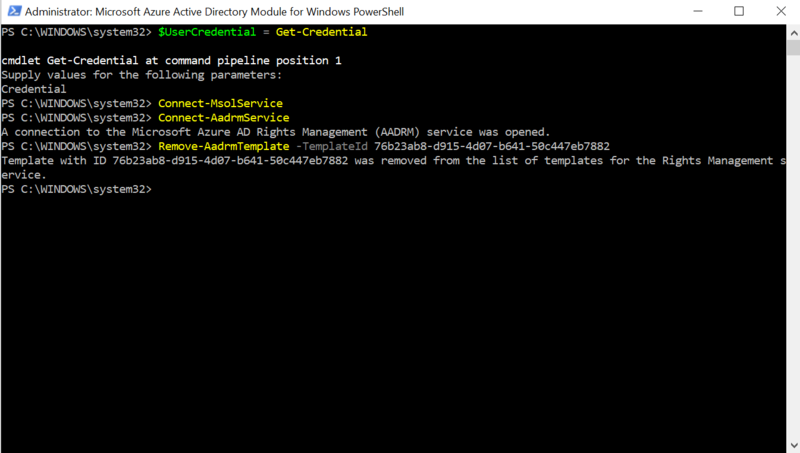 Start PowerShell as an administrator. Retrieve the AIP label ID Home -> Azure Information Protection – Labels > Label (at the bottom you will see the ID). Remove the label (template) Remove-AadrmTemplate -TemplateId <template_Id_from step_4> and press “Enter”. Now the label is removed. Figure 2. Remove Azure Information Protection labels with PowerShell.